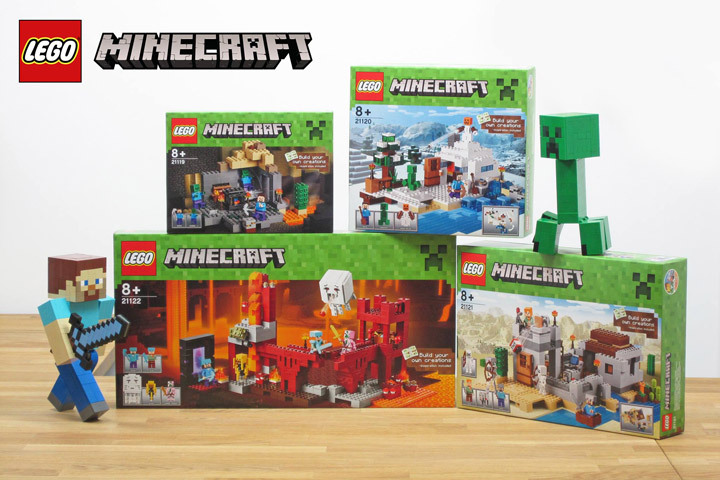 There is going to be a new Lego Minecraft wave of sets released. The summer 2015 sets will arrive in August (although you will probably see them pop up a week or two early). It looks like there will be 2 smallish sets, and 2 large sets. It is interesting that there are no small impulse buy sets. 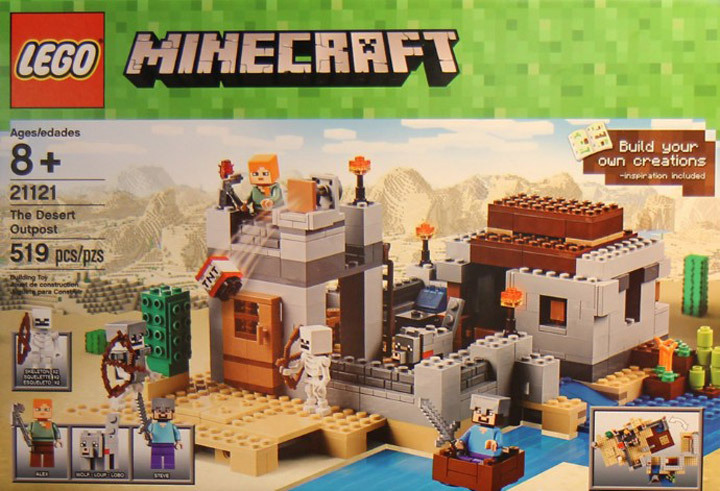 The Lego Minecraft line is not the most affordable, and this release continues that trend. Two of these new sets will see the first Minifigures of Alex. The female counterpart to Steve. Maybe someday she will be able to sell a set all my herself. The new Snow Golem looks extremely goofy, and it’s good to see the famous Minecraft Wolf represented. The big mystery (at least for me) is the 154 graffitied all over the Nether set. If you know what it means, let me know in the comments. 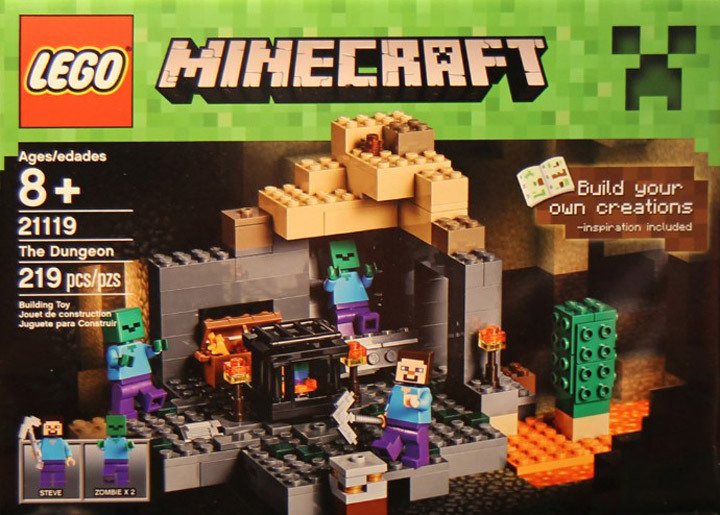 The Dungeon (21119) is the smallest set and comes with Steve and 2 Zombies. 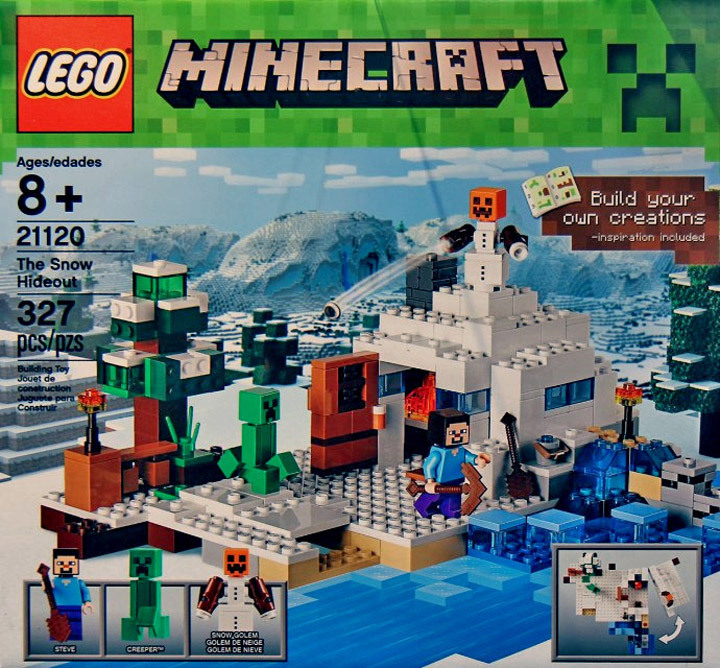 The Snow Hideout (21120) is a medium sized modular set with Steve, a Creeper and the all new Snow Golem. The Desert Outpost (21121) is a large modular set, with Alex, Steve, a Wolf, and 2 Skeletons. Finally, the big set this summer is The Nether Fortress. Featuring Alex, Steve, a Zombie Pigman, a Ghast, and Blaze. 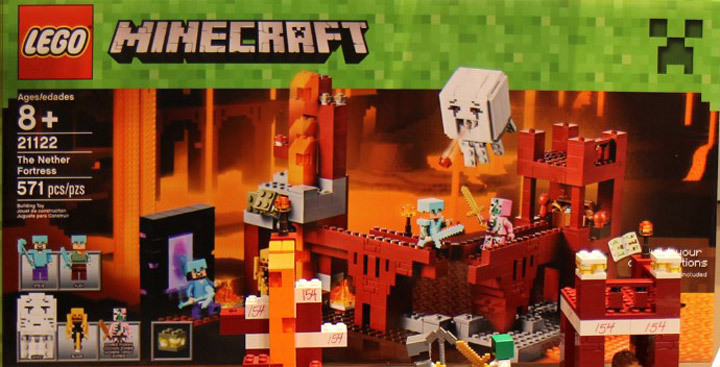 Be on the lookout in August for these new Lego Minecraft sets.